242 pages | 7 B/W Illus. The accelerated pace of global consumption over the past decades has meant that governments across the world are now faced with significant challenges in dealing with the dramatically increased volume of waste. 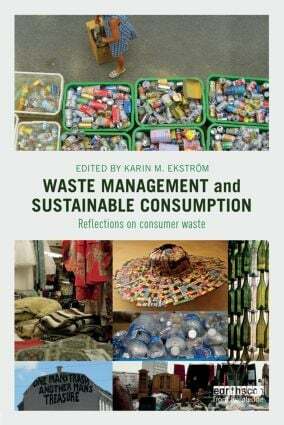 While research on waste management has previously focused on finding technological solutions to the problem, this book uniquely examines the social and cultural views of waste, shedding new light on the topic by emphasising the consumer perspective throughout. Drawing on a wide variety of disciplines including environmental, economic, social and cultural theories, the book presents philosophical reflections, practical examples and potential solutions to the problem of increasing waste. It analyses and compares case studies from countries such as Sweden, Japan, the USA, India, Nigeria and Qatar, bringing out valuable insights for the international community and generating a critical discussion on how we can move towards a more sustainable society. This book will be of great interest to post-graduate students and researchers in environmental policy, waste management, social marketing and consumer behaviour, as well as policymakers and practitioners in consumer issues and business. "In a global economy dependent upon ever rising levels of consumption, waste is the material artefact that is steadily consuming fragile eco-systems and accelerating the pace of climate change. In this book, an interdisciplinary group of scholars analyze waste not merely as a technical problem but as configurations of practices and meanings that are embedded in broader socio-cultural systems and institutional structures. This theoretically innovative, cross cultural and eminently practical study of waste, and how societies can better manage its deleterious consequences, is both timely and fascinating." "In gathering more contributors to 'waste's table', this volume demonstrates the claim made by Richard Wilk in its afterword: that waste is the single most important link between population, consumption and climate change. In showing how waste is inexorably a matter of consumption, it will surely gather more contributors to the debate." "This volume has an absolutely essential message: achieving real sustainability requires understanding the social and cultural dimensions of consumption. In a carefully composed set of nuanced powerful chapters, some of the most eminent scholars in the field of critical consumption studies provide a wealth of arguments that help us realize why people consume and why the vicious cycles of production and consumption are so extremely hard to break. Here we learn, once and for all, that this concerns the habits of the heart and the deepest layers of identity production and that sustainable consumption simply will not be achieved just by adding more sophisticated recycling technologies or incentives to conserve." "Among the strengths of the book are the diversity of the authors' backgrounds (engineering, business, sociology, etc.) and the variety of topics they address. The many good references and index increase the usefulness of this work. Summing Up: Recommended. All readership levels." Karin M. Ekströmis Professor of Marketing at the University of Borås, Sweden. Her research interests are the meaning(s) of consumption, sustainable consumption, consumers’ relations with artefacts, collecting, consumer socialization and family consumption. Current research projects involve culinary tourism and market orientation of art museums.